Last week turned out to be quite a time for world record shenanigans at the Nurburgring. 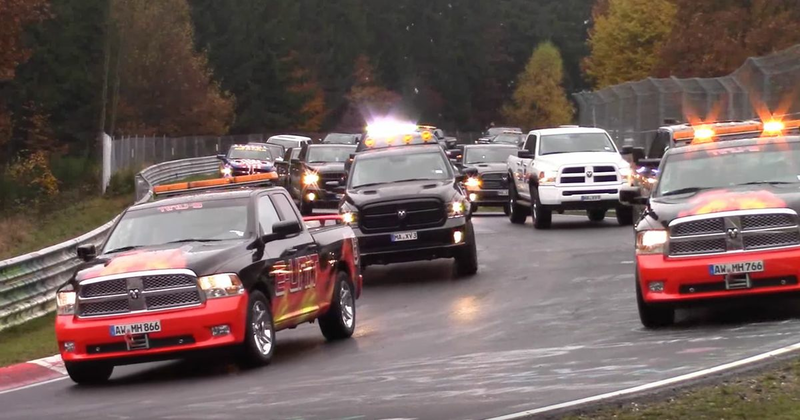 Just a few days after stung driver Han Yue lapped the Nordschleife on two wheels in a Mini, a huge fleet of Dodge Rams descended on the Green Hell. The aim was to beat the Guinness World Record for the ‘biggest parade of pickup trucks’, a record which ended up being completely obliterated. According to the event organisers, 1152 Rams took part, nearly doubling the 638 vehicles managed by the previous effort. Not bad.